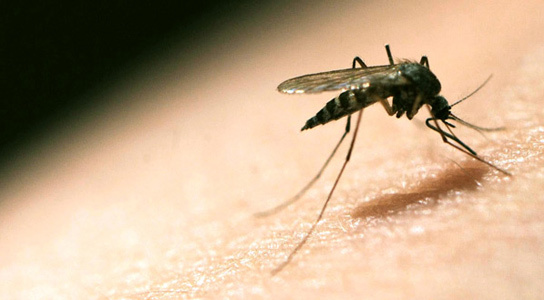 A phase III clinical trial in Africa of the RTS,S/AS01 malaria vaccine has reported disappointing results. The vaccine failed to show substantial protection for infants who received their first shot between 6 and 12 weeks of age. The researchers published their findings in the New England Journal of Medicine. The development of this vaccine began almost 25 years ago with the US military. Since 2001, the continuing development has been done by a public–private venture between the PATH Malaria Vaccine Initiative (MVI) and the London-based pharmaceutical company GlaxoSmithKline (GSK). There were eleven research centers in seven African countries in this phase III trial, which involved the vaccination and monitoring of thousands of children. 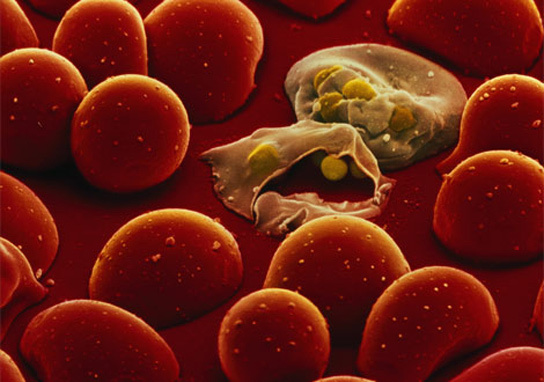 Plasmodium falciparum attacking blood cells. The study found that the number of episodes of clinical malaria compared to controls at 12 months was reduced by just under one-third in babies vaccinated at 6 to 12 weeks of age. This was half of the 62% reduction reported in a smaller phase II trial in the same age group, and less than the 55% reported last year within the current trial. “The efficacy came back lower than we had hoped, but developing a vaccine against a parasite is a very hard thing to do,” states Bill Gates, who founded MVI through a $200-million dollar grant from the Bill & Melinda Gates Foundation. This is too low to be useful clinically, states Tim Peto, a researcher in tropical diseases at the University of Oxford, UK. The vaccine’s efficacy also seems to wane over time. It stops working after about 6 months. MVI remains committed to developing this vaccine, even if it is only modestly protective. It could still have a significant impact since there are 216 million cases of malaria, and 655,000 deaths every year, mostly in children aged five years and younger. The data from these trials came from only 2 of the 11 sites and the results reported might become more nuanced once more data is included. A reduction of 50% would be the minimum desired efficacy, as stated by WHO guidelines. Be the first to comment on "Phase III Vaccine Trial in Africa Gives Poor Results about New Malaria Drug"